Congratulations! You have been certified as a CPR and first aid respondent. In your training, you may have heard of some equipment that may help prevent pathogens from getting to you. And if you’re in the medical field, work in emergency services, or deal with safety management in any way, chances are you’ve already heard the term PPE. PPE stands for personal protective equipment. Personal protective equipment is any protective item of clothing or equipment that has been designed for the purpose of protecting the wearer from injury or hazard. These hazards can include physical, liquid, chemical, biohazards, and airborne pathogens. There are many types of PPE’s available, but the most common types are gloves and breathing barriers. As first aid respondents, we should always be thinking about cross contamination when we come to a situation that requires us to react with another person in distress. We don’t want to catch what the patient may have and we don’t want to give the patient anything that we may have! To prevent disease transmission when giving care, stock your first aid kit with personal protective equipment such as disposable gloves, CPR breathing barriers, eye protection, face mask, medical boot covers, and other medical supplies. This is why it’s so important to think about PPE whenever we encounter a situation that may call us into action. Battling the problem with CPR rescue respondents short cutting PPE while giving care really needs to be considered when related to infection control and appropriate personal protective equipment. One of the top five reasons that first aid respondents will not intervene when a person’s in distress is the fear of disease! If the rescuer is approaching a victim and ensures that they have a CPR shield and gloves available, the fear of catching a disease is greatly diminished. This will increase the chances that the Good Samaritan may actually get physically involved in the rescue. PPE’s are used in emergency training and among healthcare providers as a way to protect themselves and those they come in contact with from injury or infection. 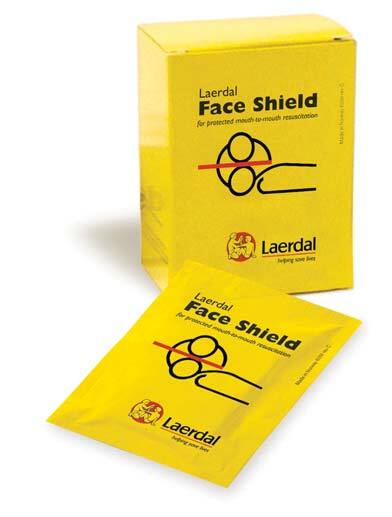 A personal protection kit is designed to guard persons attending to the injured or ill. A good bloodborne pathogen PPE kit should includes a CPR one-way valve faceshield as part of the complete head-to-toe defense package against bio-hazardous contaminants. Gloves – Because of latex allergies, nitrile and vinyl gloves are the best option. 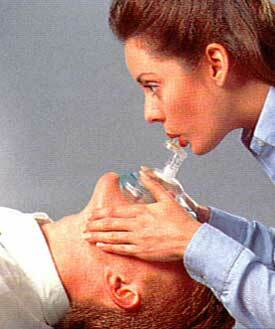 CPR mask – is used provide a barrier between the rescuer and victim or vice versa. CPR pocket mask – ensures safety by having a one-way filter valve in place. When the person giving breaths breathes into the mouth of the patient the one way filter valve prevents any mucus, blood, vomit from going back into the resuscitators mouth. Waterless hand cleaner – soap and water are always best but if they are not available during an emergency situation, it’s important to keep some hand cleaner on hand to help prevent the spread of diseases. It may not be feasible to suggest that you will always have your PPE kit on you when at the beach, shopping, walking, vacationing, or even at a business meeting. Unless you are a professional rescuer on duty, you probably won’t have your jump kit, glove pouch, or a one way valve mask bag swinging from your belt loop. 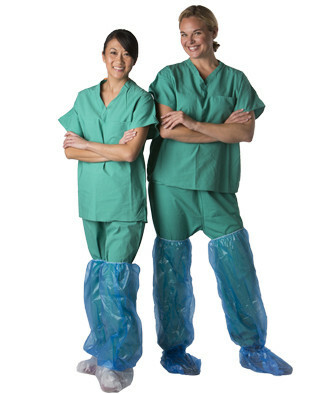 So how will you have the PPE you need at the time you need it? A great item to carry is a key ring rescue kit. A key ring style is desirable because keys are the one item that most people have with them most of the time. And if you have your keys, you’ll at least have your gloves and a CPR shield. In most cases, we don’t know our victims. Your own personal safety should be a top priority when you’re about to provide emergency medical care to assist others. You can’t continue to help save lives if you’re sick or injured. This is why PPE should be on every rescuer’s mind, key chain, or kit. When we begin to think about PPE as the first step in rescue, lives are saved and infection is prevented more often!